We are just 5 weeks away from La Marmotte so that leaves us with just 4 weeks of long distance training left. A lot of our club members are heading up to the Tour De Conamara which starts tomorrow and some will be racing in Clonmel and Wexford. For those staying in Nenagh we will keep the really long stuff until Sunday. The few that will be around on Saturday can focus on a shorter effort. Training: meet at 9:00 at the hotel. Route: there is a strong chance of it being wet tomorrow so we will keep the cycle relatively close to home. The group will split at Killeen with the racing cyclists heading up the hill and the first group continuing along the flat. This is a pretty flat cycle bar the final hill top finish, but there are plenty of turn for home points before that. We will take the opening 20km easy if some newbies want to tag along. Try to stay in the bunch until Dolla and you can turn for home with your job done!! 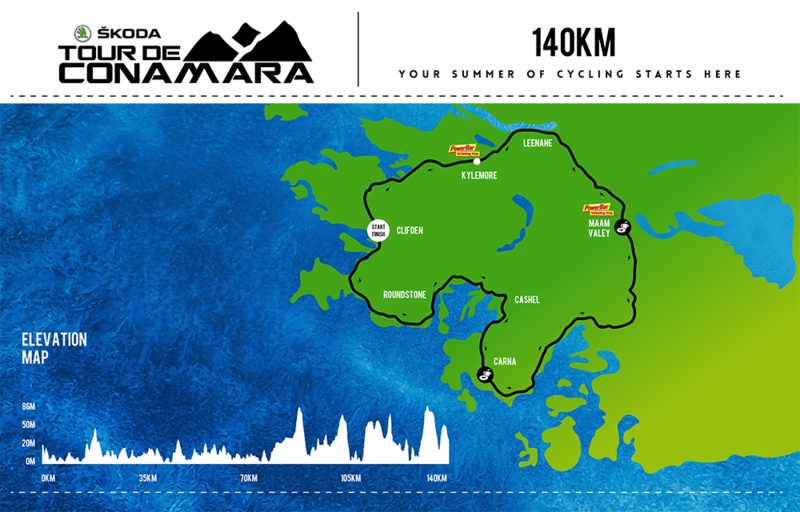 Tour de Conamara: 8 or 9 club members head for Co. Galway tomorrow for this sportive. I am sure they would welcome anyone else from the club that would like to tag along. Training: meet at 7:30 at Tescos. Route: we will be doing an alternative lake route this week. It’s a relatively flat route but we will stick in a 2.5 hour roll over session into it from Roscrea to Scariff. Anyone looking to get home early can turn for home at Portumna. Racing: best of luck to any club members taking part in the Clonmel 3 stage race. Entry for this race is now closed. It is a combined A3/A4 race with a hill tt, and two hilly but short stage races. Race sign on 10am at the Good Counsel College, New Ross. Online entry Fee is €15 and places are limited to 80 riders per race.